Stuart is one of the founding shareholders PER Lusulu Power Plant. Stuart is a British Citizen and Permanent resident in Zimbabwe. 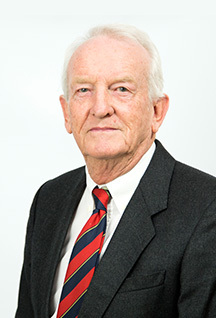 He is a Professional Structural Engineer, worked for ARUP for 45 years rising to the position of immediate past Chairman of Arup Zimbabwe. Stuart has vast experience in the planning, coordination and implementation of large-scale industrial projects, commercial buildings and infrastructure projects. He is a member of several professional institutions inter-alia the Zimbabwe Institution of Engineers Institution of Civil Engineers in the United Kingdom and the Zimbabwe Association of Consulting Engineers (past president). Stuart has been actively involved in the PER project for more than six years.